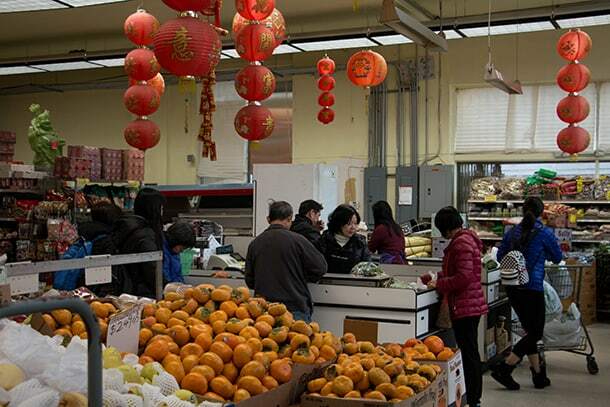 Home News What can stem the wave of development threatening Chinatown International District? 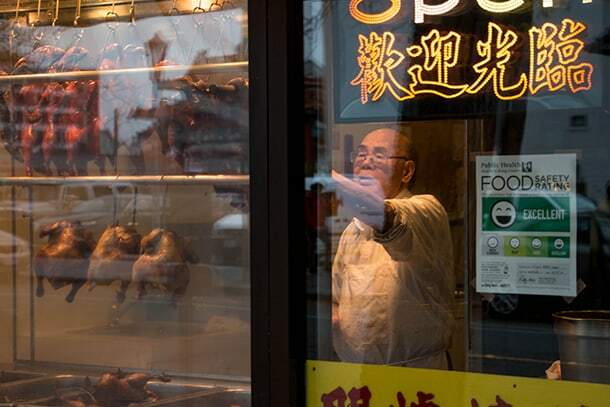 What can stem the wave of development threatening Chinatown International District? The CID will change in unprecedented ways over the next five or 10 years. The neighborhood is marked by low-rise brick buildings, many of them historical hotels that house low-income residents. 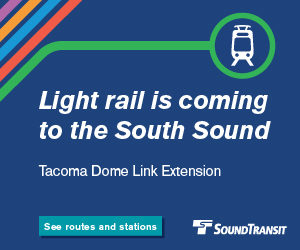 New projects are coming of a scale the neighborhood has never seen. They include a 16-story building with a hotel, condos and apartments; an 18-story condo with units starting at $300,000 each, and others of similar and smaller sizes. Between 2008 to 2013, the International Special Review District Board, which approves new constructions, received five applications for new constructions, mostly housing-related, according to data from the Seattle Department of Neighborhoods. Since 2014, the board has received 15 applications. The neighborhood has seen a “feeding frenzy” or speculative development because of its desirable location next to downtown and transportation, says Leslie Morishita, real estate development director at InterIm Community Development Association (InterIm CDA) , which helps low-income residents and builds housing. One of the drivers of gentrification and displacement is developers competing to buy properties, causing prices to rise. “They’re able to charge top dollar for rent,” Morishita says, something that nonprofits like InterIm CDA are unable to match. This puts pressure on owners of old buildings, who might think, “We can make a killing if we sell our building, we can raise our rents — let’s kick everyone out and fix up our building,’” Morishita says. On its own, a high rise in Chinatown isn’t cause for concern. “But the cumulative impact of all of them together is very, very, very alarming, because it threatens kind of the overall character of the neighborhood and who’s going to be able to stay here in the future,” says Morishita. As rents rise, low-income residents are in danger of being displaced, as are nonprofits and longtime family businesses that form the character of the neighborhood. As the population of the neighborhood changes, so does the neighborhood. 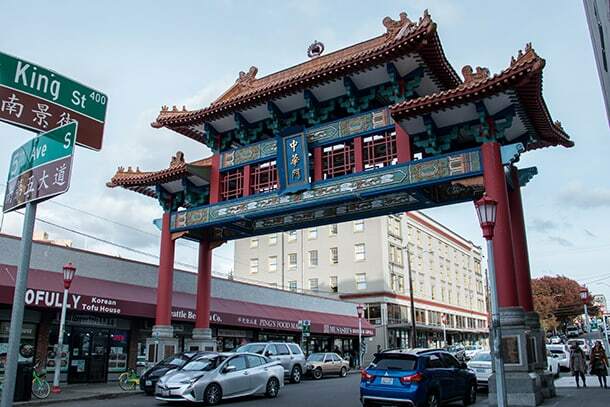 The City’s Seattle 2035 Growth and Equity Analysis identified the Chinatown/International District as an area with a high risk of displacement. As of 2010, 95 percent of the population are renters. 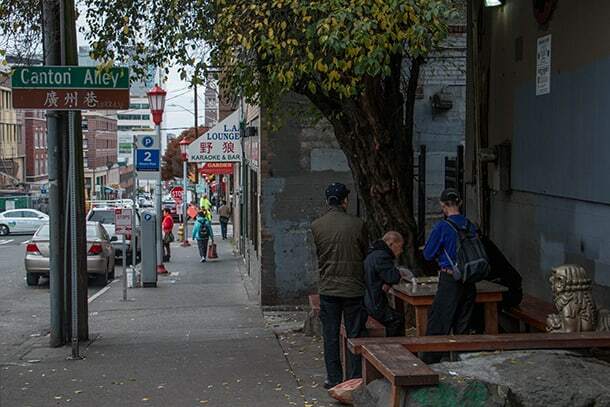 The neighborhood has a poverty rate ranging from 34.5 to 42.4 percent according to 2010 Census Data, compared to 14.5 percent for the city of Seattle as a whole. The neighborhood has always welcomed immigrants and refugees, from the first waves of Chinese immigrants in the 1850s to Japanese and Filipinos, followed by Vietnamese refugees who arrived in 1975 to found Little Saigon. 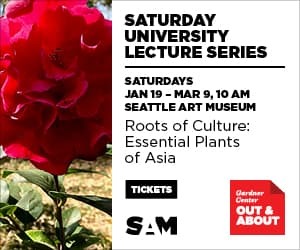 It’s also been home to European Americans, African Americans and Native Americans as well, “all of them joined by the common bonds of being part of the city’s urban poor,” Wong writes in her book Building Tradition: Pan-Asian Seattle and Life in the Residential Hotels. Many residents rely on affordable family businesses, low-income housing, culturally-appropriate nonprofits and a critical mass of people who can speak their language. 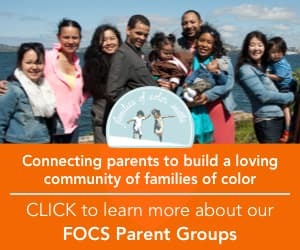 People with strong family connections to the neighborhood have gradually been leaving, says Wong. 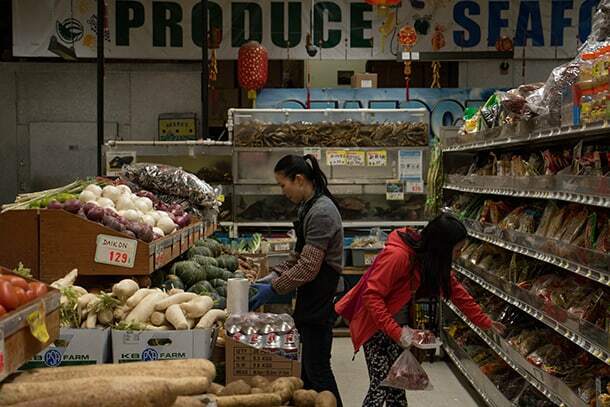 Asian American communities have sprung up elsewhere in the region. Chinese family associations, which helped advocate for residents and provide services, are losing members, without attracting younger members. The upzones in the neighborhood, the most recent of which was passed in 2017 and allowed taller buildings in exchange for some amount of mandatory affordable housing, have added pressure, allowing developers to build up to 270 feet in some areas. While it would create affordable housing in the neighborhood, the city predicted that the upzone would create 150 low-income housing units over 10 years. It’s not the first time people have worried about the neighborhood being threatened. 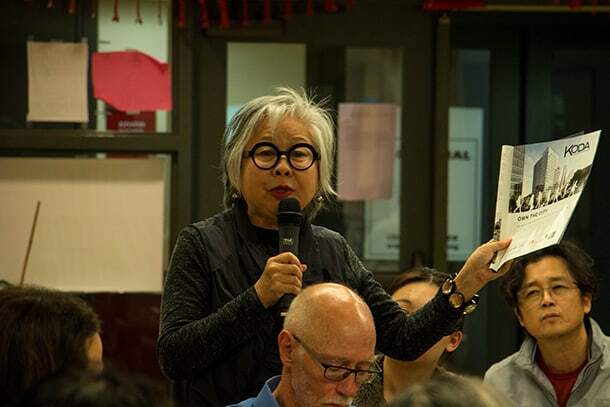 In the 1970s and 1980s a pan-Asian activist movement mobilized to create more affordable housing and social services, and fought against projects like the Kingdome Stadium, which activists believed would damage the neighborhood. “Uncle” Bob Santos, an activist who grew up in one of the CID’s residential hotels, started InterIm CDA to advocate for the neighborhood and preserve elderly low-income housing. In the 1970s, he visited other Chinatowns on the West coast to see what they were confronting. “Development was pushing or displacing people out of their communities,” Santos said in an interview in 2015, a year before he passed away. Properties that were Chinese-owned were sold to developers. The neighborhood lost low-income housing in the form of SROs, that were preserved in Seattle, says Wong. The neighborhood’s last dim sum restaurant closed in January 2018. “Their Chinatown continues to erode. It’s really sad to see it happen,” said Wong. In the CID, a new group of mostly young activists has mobilized to oppose some of the planned developments in the neighborhood. The CID Coalition, or Humbows Not Hotels, consciously aims to follow in the footsteps of activists like Santos. 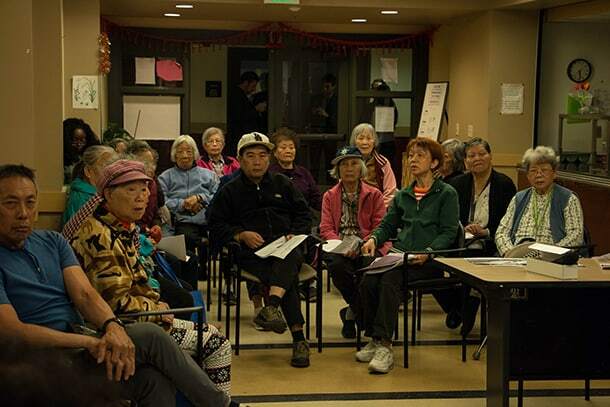 The group formed in early 2017 after founding member Cynthia Brothers (who also runs the social media movement Vanishing Seattle) wrote an article in the Seattle Globalist titled Will Grandma have a place in the new Chinatown-International District? The article focused on a planned 14-story mixed-use building that will include a Springhill Suites Marriott, apartments, condos and retail. Now the building will be 16 stories tall, and it’s only one of several high rises planned. 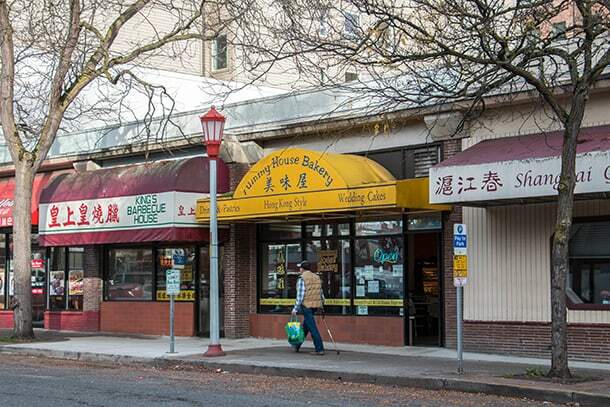 Brothers and other members of the group are regulars at board meetings for the International Special Review District (ISRD), which evaluates new developments them to make sure they fit the neighborhood’s Asian character. Brothers and other members speak out against the developments. 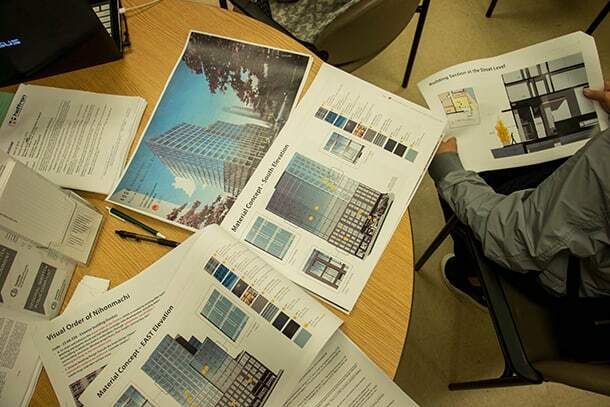 But the ISRD board has no ability to evaluate new developments for how they fit with the context of the neighborhood, and instead deliberates over the scale and design of buildings, the colors, or whether windows have frosted glass. “Even if you change the outside and material the exterior is made of, you still have what is essentially housing for affluent people,” said Chris Liu. The ISRD board discussed how to blend the building into the neighborhood. The developer had discussed how they took inspiration from downtown Seattle high rises for the design. 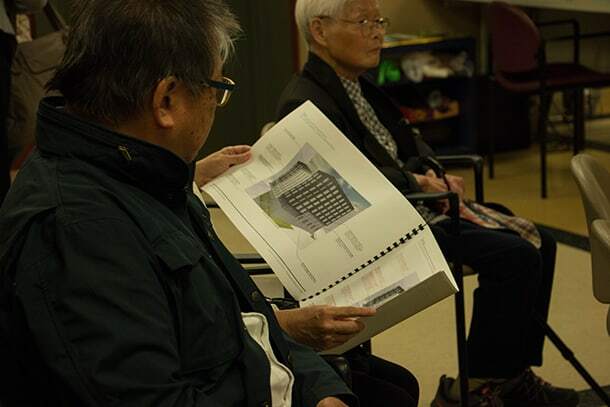 In October, the ISRD board met to discuss preliminary designs for Koda condos, which start at $300,000 each. As more and more developments are planned for the neighborhood, InterIm CDA recently publicly criticized the ISRD Board’s approach to evaluating developments. InterIm CDA is calling for the Board to expand its process “to consider the cumulative impacts of specific types of projects,” and to have the City’s racial equity toolkit be applied to the policies of the ISRD, Morishita said, reading a statement at the Koda condo meeting. 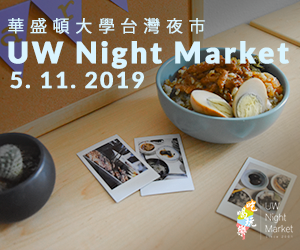 Wong of Seattle University used to sit on the ISRD board, and wishes it was more independent, and able to decide whether a project was a good fit for the neighborhood contextually. With the ISRD board unable to stop gentrification in the ways neighborhood advocates want, there’s talk of other solutions. Morishita believes the most important one is community control of land — long-term ownership by a community-based group, “so the land is take out of the speculative market,” she explained in an email. Wong of Seattle University agrees that community property ownership is crucial. “If you don’t own the property, you have very little say in what’s gonna happen,” she says. In New York, Chinese family associations started buying property in the 1980s. This helped prevent gentrification and displacement in Chinatown, according to Wong. In Seattle, when property owners are forced to rehabilitate buildings, they face pressure to sell. An idea to help prevent this would be a revolving fund to help building owners restore their structures, Wong says. 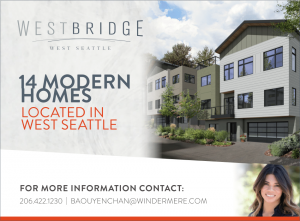 Another way the neighborhood could resist gentrification by calling for environmental mitigation from the city for affordable housing, every time a new building is constructed. Brothers hopes the CID Coalition can fill a gap in grassroots organizing in the CID that she believes has been lacking since the 70s and 80s. 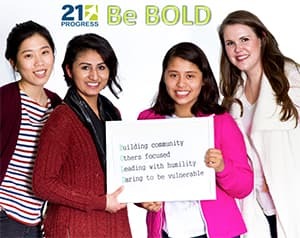 The Coalition aims to work with other nonprofits and family associations though “we’re not always going to agree politically or tactics-wise.” Brothers believes the Coalition is able to be more radical in its positions because it doesn’t have to worry about the politics of nonprofits or the city. For example, the group has called for a moratorium on luxury, speculative development in the neighborhood. 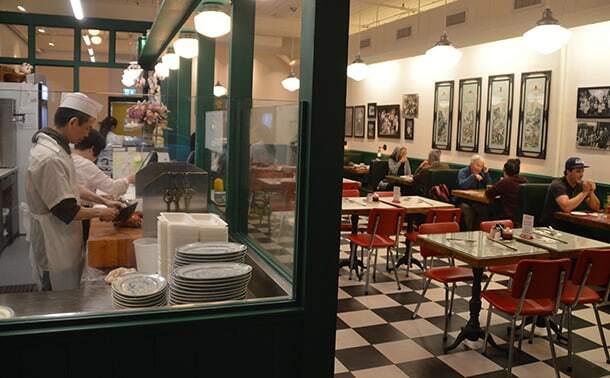 Looking out at the historic Four Seas restaurant, Dean Wong reflects on what he’s witnessed in other Chinatowns around the country, and the one where he grew up. A Portland Chinatown resident he met who has to bus an hour and a half to get affordable Chinese groceries. The Filipino old-timers who lived in the SROs are gone, as are the African American jazz clubs on Jackson Street. Next to the Four Seas building, a group of older men huddle around a game board on a bench, game pieces clinking, perhaps in a game of Mahjong.